Community. Instant and accepting community. I smiled, and did exactly as she suggested. Pudding calmed down a few minutes later, just in time to devour her creation. By the time I turned around again, the table was empty, no more eyes upon us. We went on to enjoy the kiddie rides. Though there were some emotional moments, I no longer felt tense about anybody’s judgment. 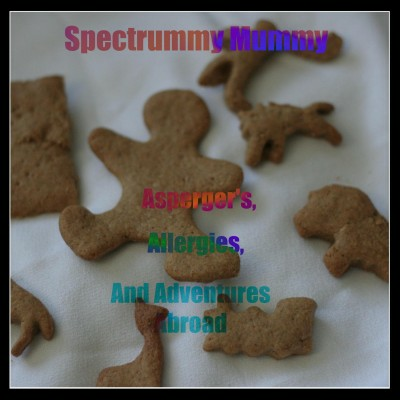 You can call me Spectrummy Mummy, your guide to our not-so-average family and all things spectrummy. I’m originally from England, American by marriage, and currently living in Argentina, by way of a couple of other countries. Honestly though, it doesn’t matter where we’re living, we know for sure that the journey is more important than the destination.